ChiIL Live Shows will be there tonight... will YOU?! We caught Maximo Park back in October of 2012 at Schubas and and can't wait to shoot stills again tonight at Bottom Lounge! The band puts on a great, live show. Click here for our past coverage and full set of LIVE original Maximo Park photos. Our favorites are embedded at the bottom of this post. Status updates, tweets, memes, constant communication: seeing through the data smog is harder every day. Through all the neon flash and white noise, however, there are transmissions that slash straight through all the static and cut to the quick. 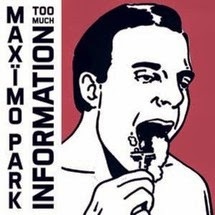 Maximo Park’s fifth album Too Much Information is one such record, that hooks out life’s critical moments from the dizzying ebb and flow and brings them into HD-sharp focus. It’s the work of a band who, despite their compelling development since 2005’s febrile debut A Certain Trigger, have never confused consistency with give-the-people-what-they-want reliability. “After five records you want to make a statement to the world and say ‘this is us and if you don’t like it, unlucky – we’re not going to change for you,’” says singer Paul Smith. 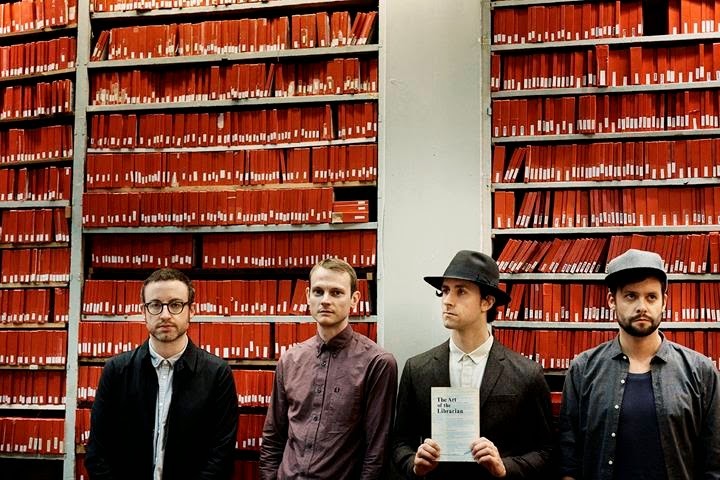 Click Here To Watch Video For "Brain Cells"
Maximo Park have announced US tour dates in support of the band's fifth LP, 'Too Much Information', available In The US On April 1st Via Daylighting / [PIAS] America. 'Too Much Information' was recorded and self-produced by the band in Newcastle and Sunderland with additional production duties from The Invisible’s Dave Okumu and from Field Music’s David and Peter Brewis. The album is the follow-up to 2012’s critically acclaimed ‘The National Health’, and sees the band reach new heights in their remarkable songwriting and sonic experimentation. From the beautiful weirdness of "Brain Cells", to the poetic "Leave This Island" and "Midnight On The Hill," and the refined rock of "Give, Get ,Take", 'Too Much Information' sees the band keen to challenge the listener with some of their most adventurous musical and lyrical work to date. We'll have LIVE Maximo Park show shots and a full review of the new album up shortly. Check back with us like we vote in Chi, IL... early and often. Two ii's, one L, for great entertainment & urban lifestyle coverage in Chi, IL and beyond. We have loads of giveaways, photo and video filled original content and more. Follow us so you'll be the first to know.